Today at the Game Developers Conference held in San Francisco California USA Oculus announced the Oculus Rift S Virtual Reality Headset. The Oculus Rift S Virtual Reality headset offers higher-resolutions and inside out tracking that eliminates the need for external cameras or base stations to track user movement like Room-Scale Virtual Reality. Oculus partnered with Lenovo to develop the Oculus Rift S virtual reality headset to speed up the production process and to bring the Oculus Rift S to the market quicker. The Oculus Rift S virtual reality headset display supports 2560 x 1440 high end resolution. (1280 x 1440 per eye). The Oculus Rift S features the same inside-out tracking system as the standalone Oculus Quest Virtual Reality headset. The new inside out tracking is called Oculus Insight which do not need the external cameras to enable full-body movement and Room Scale tracking. This is a big breakthrough for Virtual Reality in general and we cannot wait for the Oculus Rift S to launch in South Africa. The most exciting part is that the Oculus Rift S will cost the same as the Oculus Rift units. (This is an upgraded version of the original Oculus Rift). It was also announced that multiplayer games that support both platforms will let players play one another, regardless of whether they are playing on an Oculus Quest or Oculus Rift device. They also announced that the games you purchase for Oculus Quest will also work on the Oculus Rift S Virtual Reality headset and you will not have to buy the game twice for it to work on both VR devices. The Oculus Rift S displays runs at 80Hz instead of 90Hz, a change from the original Oculus Rift OLED display which ran at 90Hz. Oculus announced that the main reason for moving to a slower refresh rate was to avoid needing to increase their recommended VR specifications (to ensure that developers can continue to target one specification as the install base grows). Not just a change in Oculus Rift resolution, but the Oculus Rift S now uses LCD displays rather than the OLED displays in the original Oculus Rift. The OLED displays typically have richer colors and better contrast than LCD displays thus making them great for dark content, but LCD displays for Virtual Reality have gotten better, and bring some benefits of their own. Among the biggest benefits moving to LCD displays over OLED displays is improved ‘fill-factor’ which means less screen door effect and more display area. So while the resolution improvement from Rift to Rift S doesn’t bring a significant increase in fidelity, it does bring a notable reduction in screen door effect which will make a big difference in how immersed people will feel in Virtual Reality. 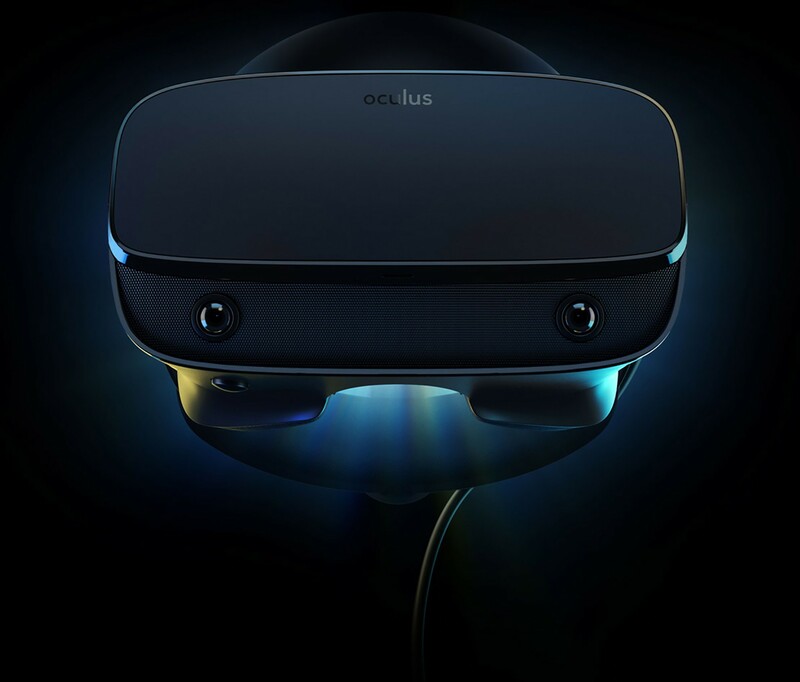 The Oculus Rift S lenses are new and improved, and Oculus announced that they aee similar the Oculus Go and Oculus Quest Virtual Reality Headset lenses (Better clarity and less light rays).